In 1867 Wilhelm Emil Fein founded a company for the manufacture of physical and electrical apparatus where his son, Emil Fein, invented the first electric hand drill in 1895, barely 30 years later. With this invention he laid the foundation for the highly reliable power tools that FEIN continues to manufacture in Germany and for which this tradition-rich company is respected in trade and industry throughout the world. FEIN has been among the world's leading power tool manufacturers for over 140 years. 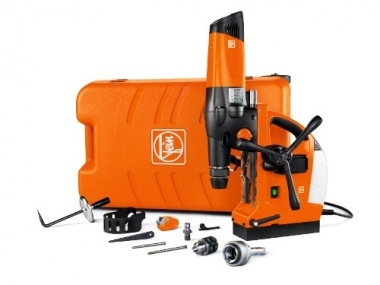 And that is also undoubtedly because, with every new product innovation, FEIN continues to pay attention to its own demand to only develop durable power tools.